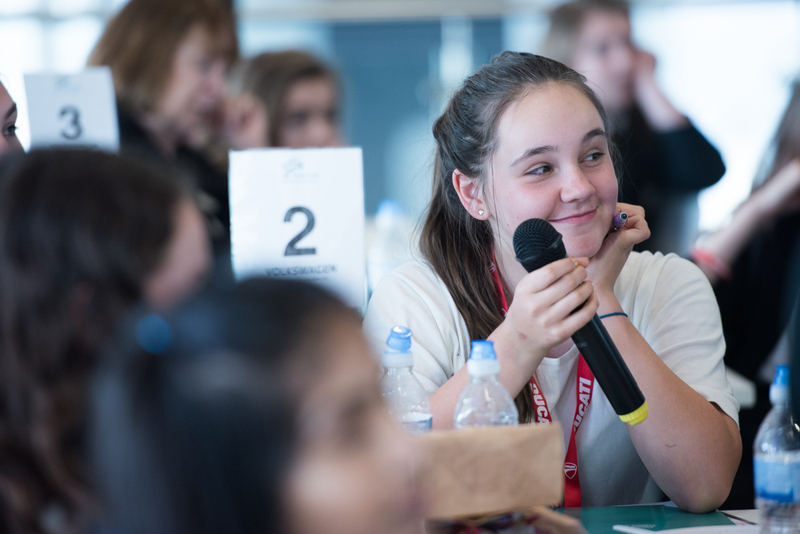 23rd May 2017. 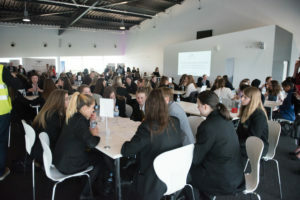 The UK Automotive 30% Club hosted 100 students from 10 secondary schools for a careers networking event at the CDX17 automotive fair in Silverstone on the 23rd May 2017 in partnership with the Volkswagen Group UK. 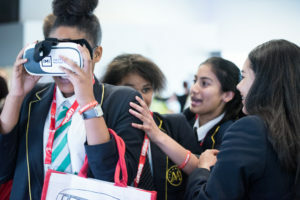 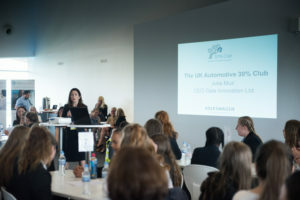 Brought to Silverstone by UK Automotive 30% Club Founder Julia Muir for its second year, Inspiring Automotive Women highlighted the careers available in the motor industry, through keynote speeches, a careers fair and speed networking. 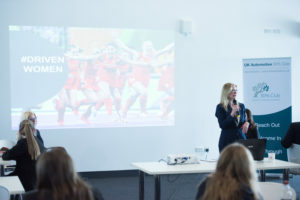 The event included a welcome from Gaia Innovation Chief Executive and UK Automotive 30% Club founder, Julia Muir and Penny Burnett, Human Resources Director VW Group UK. 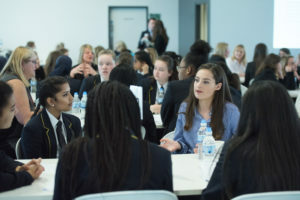 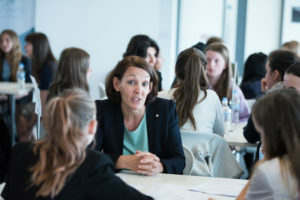 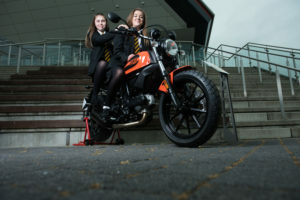 This was followed by career talks and interviews with Penny and Clare Martin, Group HR Director Jardine Motor Group, and Career Speed Networking with women working in different roles across the automotive industry. 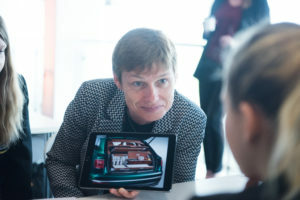 The event forms an important part of the “reach out” phase of the UK Automotive 30% Club’s ‘30 by 30’ strategy which aims to secure 30% female leadership in the automotive industry by 2030.